Hillsboro, OR. (January 8, 2019) - The Hillsboro Hops (@HillsboroHops) will have a new manager --- but a familiar face --- in 2019. 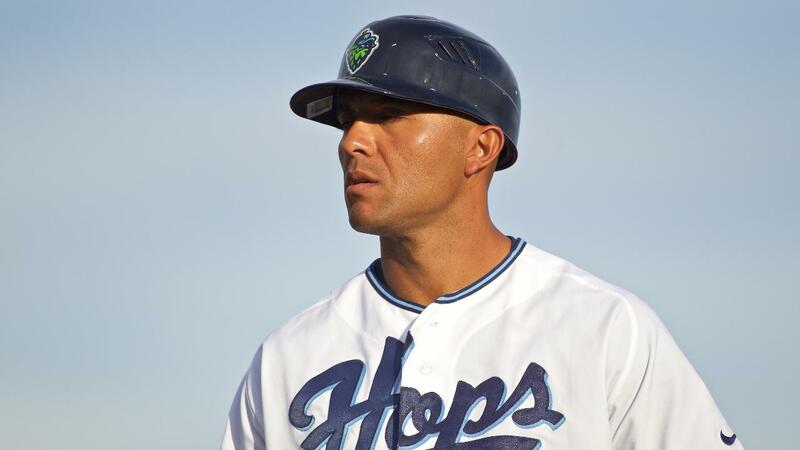 Javier Colina enters his first season as Hops manager; he was with the club as hitting instructor in 2015, the last time the Hops won the Northwest League championship. Colina will be joined by hitting coach Franklin Stubbs, pitching coach Barry Enright, and coach Hatuey "Chuy" Mendoza. Hillsboro native Ben Petrick returns for his seventh year as consultant. The announcements were made Tuesday by the Hops' parent club, the Arizona Diamondbacks. Javier Colina will be entering his sixth season with the Diamondbacks, and his second as manager, having led the Rookie-level Arizona League D-backs in 2017. Last season he served as a coach for Arizona's Double-A affiliate in Jackson, Tennessee, and also has managerial experience in the Nicaraguan Winter League. Colina played 15 years of professional baseball (1998-2012), spending time in the Rockies, Cardinals, Reds and White Sox organizations, and topping out with parts of four seasons in Triple-A. A native of Venezuela, Colina was the MVP of the Venezuelan Winter League in 2005. "When we found out Javier was going to be our manager this year, we couldn't have been happier," said Hops President and General Manager K.L. Wombacher. "He knows what it takes to win, having been here the last time we won the league title, when he was Dansby Swanson's first hitting instructor in the minor leagues. It's an excellent choice by the Diamondbacks." Franklin Stubbs is also making a return to Hillsboro as hitting instructor, having served in the same role with the Hops in 2017. Last season, he was the hitting coach with Arizona's Advanced-A Visalia affiliate in the California League. He now returns to the Hops, where he mentored top draft picks Pavin Smith, Drew Ellis and Daulton Varsho during their professional debut season two years ago. This will be Stubbs' 23rd year as a professional coach. He played 10 seasons in the major leagues with the Dodgers (1984-89), Astros (1990), Brewers (1991-92) and Tigers (1995), and won a World Series ring with the 1988 Dodgers. That year, he went 5-for-17 (.294) with two doubles and two RBIs during the Dodgers' five-game series win over the Athletics. Former Diamondbacks pitcher Barry Enright enters his first season as pitching coach after a 12-year professional playing career that ended in 2018. He was the D-backs' second-round draft choice out of Pepperdine in 2007, and began his professional career that summer in the Northwest League with Yakima, the Hops' predecessor franchise. Three years later (2010), he made his major league debut with the Diamondbacks, making 17 starts, and going 6-7 with a 3.91 ERA. He also spent time in the major leagues with the D-backs in 2011, and with the Angels in 2012 and 2013. His playing career ended last year with stops at Arizona's Double-A Jackson and Triple-A Reno affiliates. Hatuey "Chuy" Mendoza enters his 12th season with the Diamondbacks organization, and his second as a coach. He spent 10 seasons in front office roles, most recently as Arizona's coordinator of Latin American operations from 2015-17. Last season, he was a coach for the Rookie-level AZL D-backs. Mendoza pitched for five years in the Diamondbacks' chain (1997-01), and briefly in the Angels' and Reds' organizations, topping out at Double-A. Ben Petrick, a lifelong Hillsboro resident, is the only person to be in a Hillsboro uniform every season of the club's existence. A second-round draft selection of the Colorado Rockies out of Glencoe High School in 1995, he spent parts of five seasons in the major leagues with the Rockies and Detroit Tigers. Previous Hops managers are working their way up baseball's ladder, with two reaching the major leagues in 2019. J.R. House, who managed the Hops in 2014 (and won the league title) enters his first season as the Cincinnati Reds' major league third-base coach and catching instructor. And Shelley Duncan, who managed the Hops in 2015 and 2016 (including a championship in '15), is entering his first year as a big league coach with the Toronto Blue Jays. Shawn Roof, Hillsboro's manager in 2017 and 2018, will be managing the Diamondbacks' Advanced-A Visalia affiliate in 2019. The Hillsboro Hops open the 2019 season on Friday, June 14th in Eugene. Opening Night at Ron Tonkin Field in Hillsboro will be Friday, June 21st against Vancouver. Season tickets, mini-plans and flex plans are now available at www.hillsborohops.com, or by calling 503-640-0887.